There are many ways to serve at SBC. Here are a few of them. Here is an opportunity to prepare occasional meals for a family when their normal meals are interrupted due to a new baby, illness, surgery or death. This takes a little weight off of the family and shows the love of Jesus! Once you are on the list of meal preparers, you'll be able to stay in the know through the SBC Meals Ministry Facebook page. Whenever a need is announced, you'll be able to schedule yourself using the Meal Train app. For information on how to get involved, send an email to southbeachchurch@gmail.com. We do a lot with audio and video here at SBC with sound, cameras, streaming, worship lyric projection, etc. And there's always room for the right person. We'll ask you to fill out a Ministry Application for this spot. If you'd like to find out how to get involved, send an email to southbeachchurch@gmail.com. This is a Sunday service ministry where you would help set up coffee, snacks and communion for each service. There is a 2-3 person team assigned to each service (9, 11, and 6). You would schedule yourself using the SignUpGenius app and it could be once a week or once a month depending on your desire and space availability. We like making an impression, and one way we do it is by having the building looking good for any events that take place here. This requires a solid team of folks who are willing to come in and prep it for events. For Sundays, the cleaning is done some time on Saturdays. For other events such as weddings, etc., the cleaning is done prior to those events. All of the cleaning tasks are divided between our Clean Team volunteers and our cleaning service. For the SBC Clean Team, the building is divided into several areas and the tasks for each area will typically take about an hour. You would schedule yourself using the SignUpGenius app. Do you like serving kids? There's always room for the right people for this role helping out at one of the Sunday services. One nice thing about having multiple services is that you can help with the kids at one service and hear the message at another. Our Kids & Student Ministry includes all kids ranging from ages 1-10. It's a Jesus-focused, Spirit-filled, life-giving ministry where the focus is to bring the Gospel of Christ to life in the lives of our kids. Our vision is to raise up and empower the next generation to advance God's kingdom, so that our kids can take their next steps to a life of significance with Jesus. This position requires a National and County background check. To get started, click here to download a Servant Worker Application. There are several ways to help with our Youth Group. Help prep and serve food (we serve food to the kids each week), be a supporting helper, or be a co-leader with Pastor Rory. Middle school and High school youth meet on Wednesdays at 6p at SBC. Are you a skilled musician or vocalist who would love to honor God through your gift? There is a Ministry Worker Application required for this role.  At SBC, we recognize the need for church community that comes from a culture of small groups. There is fellowship and ministry that happens in a small group that just can't happen at a Sunday service. We need more Life Groups and so we are always on the lookout for the right people to be Life Group facilitators and hosts. The facilitators lead the group and the host (preferably a separate person) provides the setting in their home. Pastor Luke's LG questions are emailed each Monday, so there is not a high demand for preparation. This role requires a Ministry Application. Email the CR team below to find out what options there are.